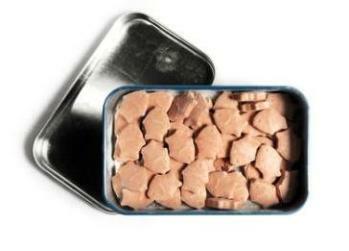 Cat vitamins and minerals are nutrients required in a cat's diet, but should be in measured and small amounts. Vitamins are organic substances made by animals and plants and consumed by mammals. 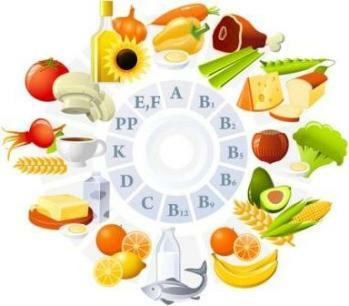 There are 13 vitamins that need to be obtained from the diet and they are divided into water and fat soluble vitamins. Cats make their own Vitamin C from other components in their diet. Minerals are inorganic elements found in water and soil; they are absorbed by plants and then consumed by animals. Water soluble vitamins are retained for a short time and then excreted via the kidneys. B1 is required for normal nerve function, carbohydrate metabolism and the production of energy. B2 assists with red blood cell formation and the metabolism of amino acids and fats. B3 promotes a healthy skin and assists with the release of energy from fats, proteins and carbohydrates. B5 is required for the synthesis of many substances and the release of energy from foods. B6 is essential for the metabolism of proteins, fats and carbohydrates; for the healthy functioning of the nervous system and the synthesis of hormones. B9 is essential for the synthesis of DNA and proteins and for the formation of red blood cells. B12 helps breakdown fatty acids, maintains a healthy nervous system and assists in production of red blood cells. Aids in the synthesis of hemoglobin and the metabolism of proteins. Vitamin A is needed for healthy skin, hair, new cell growth and vision. Vitamin D aids in the metabolism of phosphorus and calcium and the absorption of calcium for healthy bones and teeth. Humans produce Vitamin D3 in their skins when exposed to sunlight, cats do not. Cats get Vit D from a carnivorous diet. In days gone by it was thought that cats produced Vit D in the sebum of their skins and received their intake during grooming - this is false. An overdose of Vit D can cause increased calcium in the blood resulting in increased calcification of soft tissue i.e. the heart and kidneys. Vitamin E acts as an antioxidant and protects red blood cells. It prevents the destruction of vitamin A and C.
Vitamin K is essential for blood clotting and the synthesis of proteins. Calcium is essential for nerve function, blood clotting, for strong teeth and bones and muscle contraction. Potassium is an electrolyte required for the normal electrical activity of the heart, protein synthesis and the proper functioning of nerve impulses and muscle contraction. Sodium is needed to regulate blood pressure and is essential for the proper functioning of nerves and muscles. Magnesium assists with the conversion of energy from food, assists in building strong bones, cell repair, healthy teeth and bones and regulating body temperature. Iron is needed for the formation red blood cells and hemoglobin which carries oxygen to the cells and prevents anemia. Zinc assists the immune system and helps with the breakdown of carbohydrates, proteins and fats. Manganese assists with healthy teeth and bones, synthesizes fatty acids, maintains a healthy nervous system, protects the body of free radicals and helps the body utilize key nutrients. Copper and iron assist with the formation of red blood cells, healthy bones and blood vessels, nerves and the immune system. It is clear that vitamins and minerals are important for the proper growth, development and regulation of all body functions. Most well balanced, good quality cat foods contain adequate amounts of vitamins and minerals and supplementation is not required. If you feel that your kitty requires cat vitamins, please consult your veterinarian first.